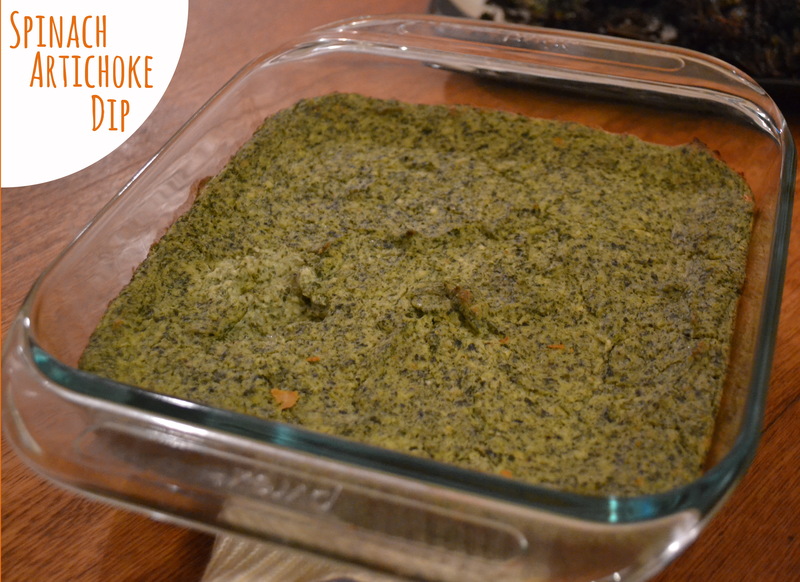 Dips take deux with this Spinach Artichoke Dip. I made this for the Texans v. Pats playoffs game a few weeks ago (these Hungry Texans will get our vengeance on those Boston Boys’ team one of these days! ), but it will certainly be seeing a return appearance on our Super Bowl spread. 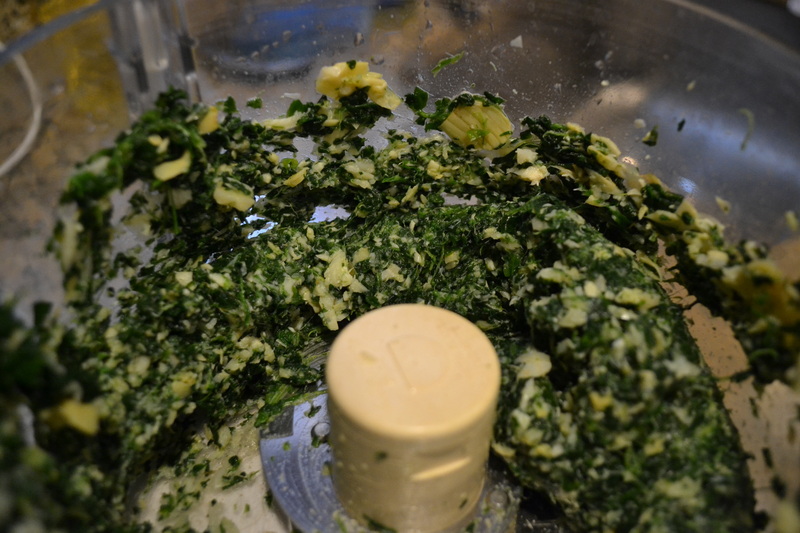 Start by thawing your spinach and wringing out as much of the excess liquid as you possibly can. 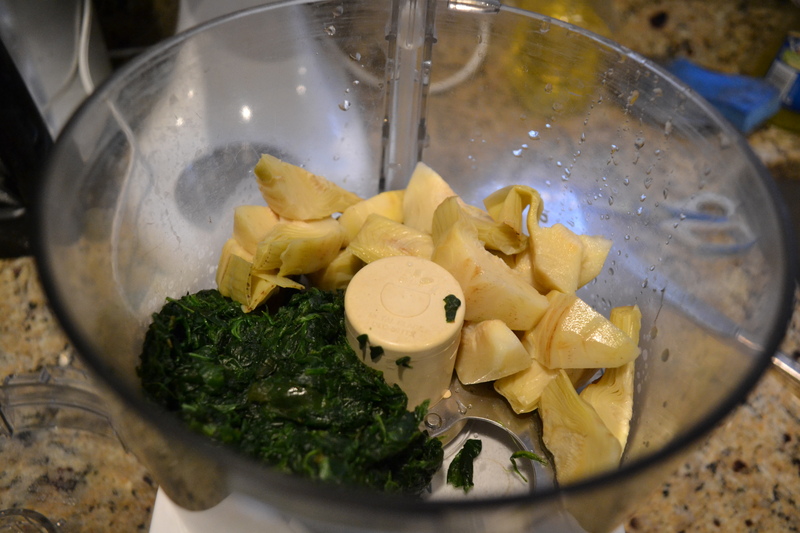 Place spinach, artichokes, and garlic in a food processor & pulse, pulse, pulse until they’re thoroughly chopped. 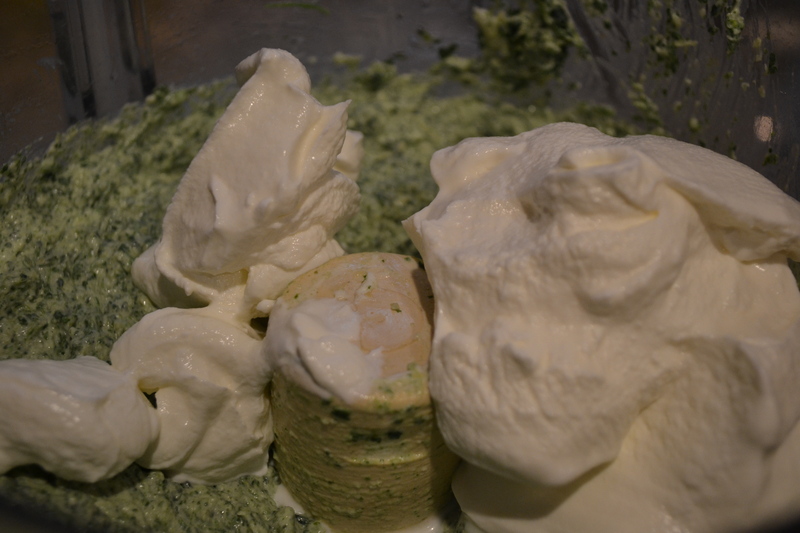 Then add & mix in your cream cheese. 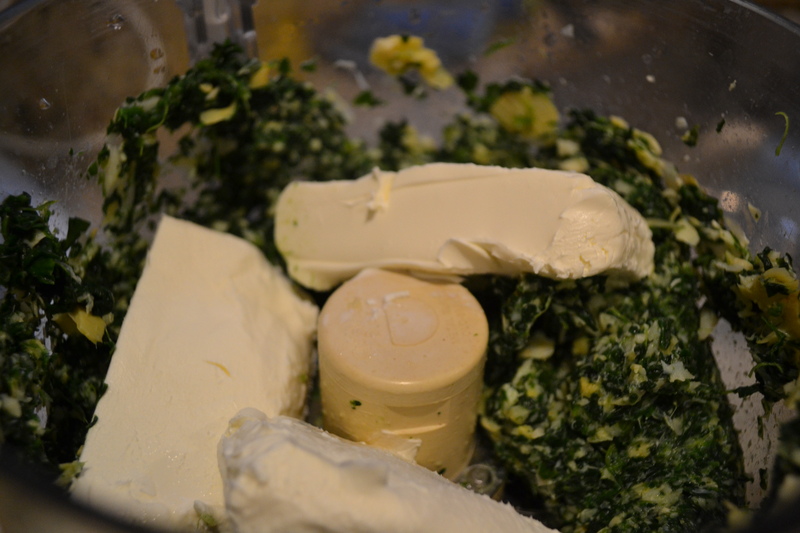 Then add & combine your sour cream! 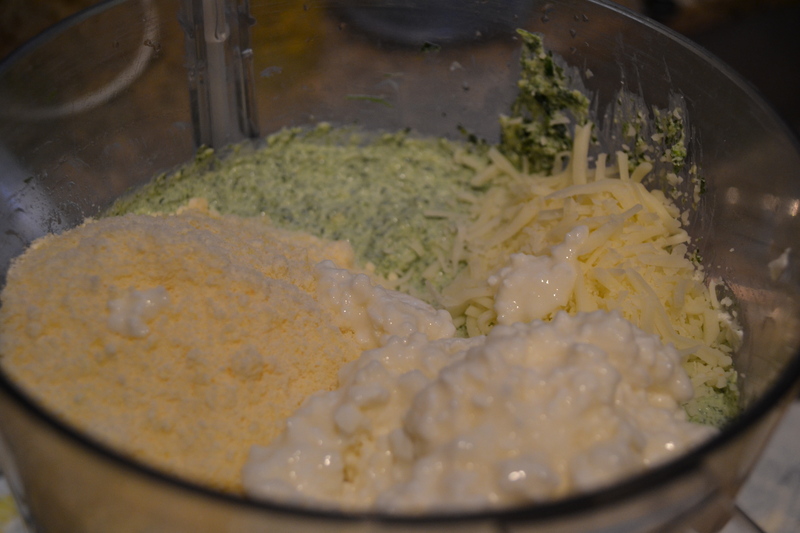 Then add your cheeses. 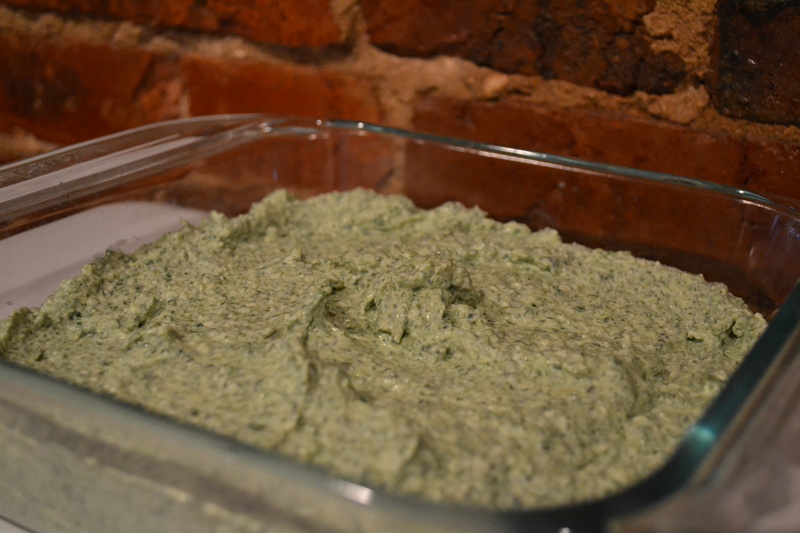 Full disclosure, I usually add way more mozz, but when I set out to make this dip I got home from the store only to realize we had about 2 tbl of mozarella in the fridge (oh, rats!). I ended up adding the sprinkling of mozz I had, but the cottage cheese I substituted in worked great, so feel free to get creative with your queso! 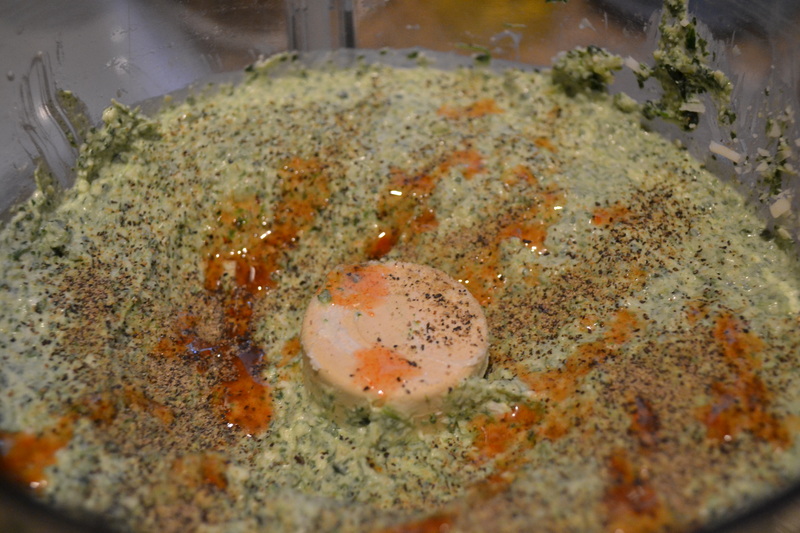 Next, season to your desired level of kick — I did a few shakes of each pepper & hot sauce — and give it all a final few whirls around your food processor (taking time to scrape the sides and ensure it’s all combined!). You could start dipping away now, but I think this dip’s better hot, so fill a square pyrex dish with your dip & bake at 400 for 25-30 minutes or until the top starts to get the littlest bit golden and crusty. 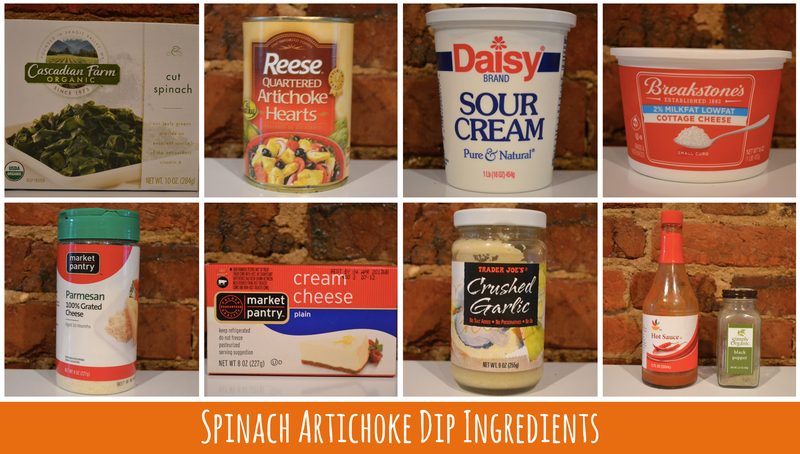 Enjoy with your favorite dippers and root your team to victory!